Updated to fix errors and to replace that have been superseded by mega packs. The address to Superstar's Citibank and Key Tower have also been corrected. 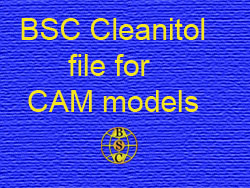 This text file can be used with BSC Cleanitol to check for the models used in the CAMeLot Starte Packs. You do not need to remove any of the files it finds but you will be able to find any that you currently do not have.